There are so many ways to help…. Riding for the Disabled Association (RDA) helps 28,000 disabled children and adults all over the UK to benefit from horse riding and carriage driving for therapy, achievement and fun! 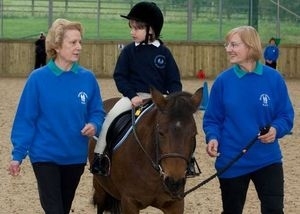 Here at The Mount Group RDA, based in Somerby, we provide riding lessons on most days of the week. All of our activities rely heavily on the contribution of our volunteers. Horses and ponies are at the heart of everything we do, making us a natural fit for volunteers who already have experience in this area. But, it takes lots of helping hands to ensure the success of The Mount Group – there are many jobs that don’t involve horses. If you are aged 12 or over, friendly, reliable – and want to help our clients to achieve their goals – then we’d love to hear from you.